I don't know about you, but if I'm about to throw out the rear end of my car for a little drifting action, then I'm certainly not going to do it at 190mph. To quote Dirty Harry himself, "a man's got to know his limitations", and I certainly know mine. One man without limitations however, at least when it comes round to drifting, is Japanese drift champion Masato Kawabata. And it shows, as Kawabata has just set a new Guiness World Record for fastest ever drift. The record invovled Kawabata throwing his back end out on the runway of Fujairah International Airport, UAE, at 190mph and with a 30-degree slide. 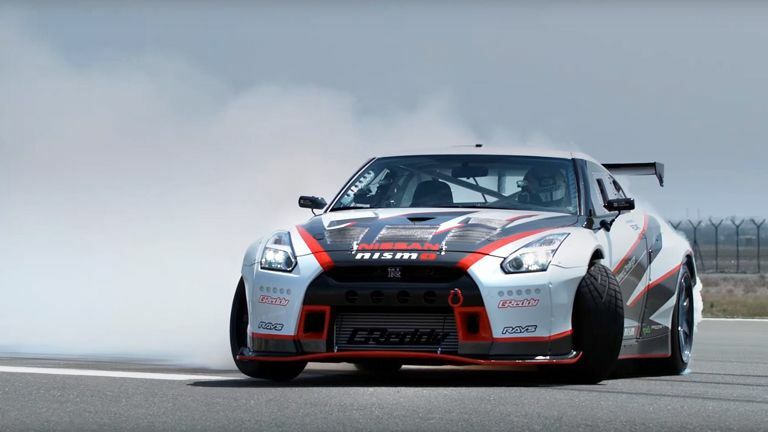 To attempt this Nissan supplied Kawabata with a Nismo-modded, 1,361bhp GT-R, which had its standard front driveshaft removed to make it rear-wheel-drive (RWD). Read more: Audi Q2 - small SUV, big gamble?